A video from a high-profile European event, Ten-T Days 2018, that was held in GR – Ljubljana Exhibition and Convention Centre in late April 2018. From 25 to 27 April 2018, GR – Ljubljana Exhibition and Convention Centre hosted one of the two biggest congresses of 2018 in Slovenia. 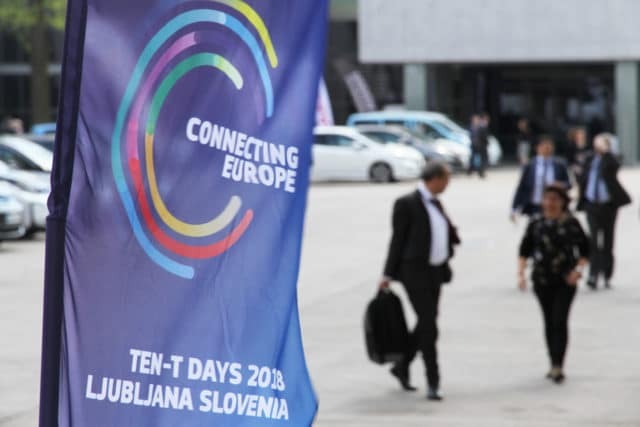 The 9th edition of the TEN-T DAYS (Trans-European Transport Network) brought to Ljubljana more than 2000 delegates and 26 European ministers of transport. Participants, who came from 59 different countries, attended 4 plenary sessions, 100 sessions, and checked 100 exhibitors. GR – Ljubljana Exhibition and Convention Centre beside space for the congress and its accompanying futuristic lab and exhibition, provided a gala dinner for approximately 2300 delegates. The video about TEN-T DAYS showcases a great example of a big congress being held in GR – Ljubljana Exhibition and Convention Centre.